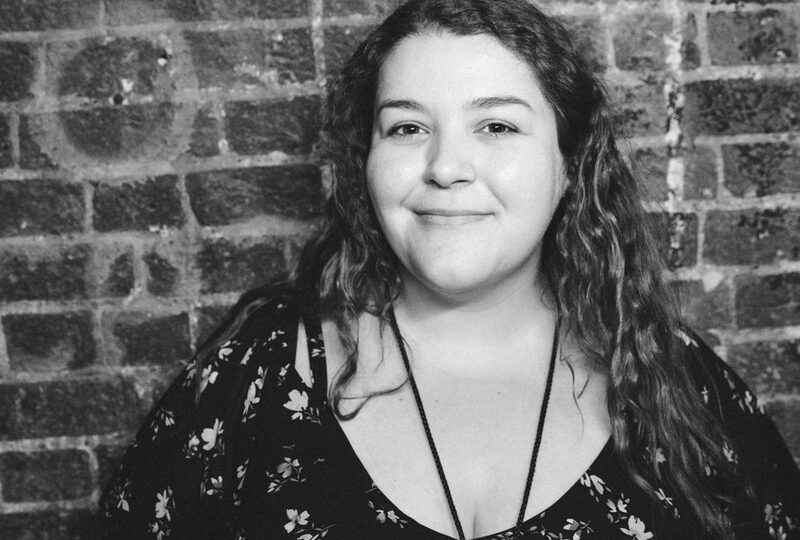 23-year-old Ellie Hart works at The Wellmont Theater, runs MELTT (Music Ellie Listened To Today) which is an online magazine that releases regular playlists, and she is a contributor to The Alternative. In 2017, she graduated from Belmont University in Nashville. 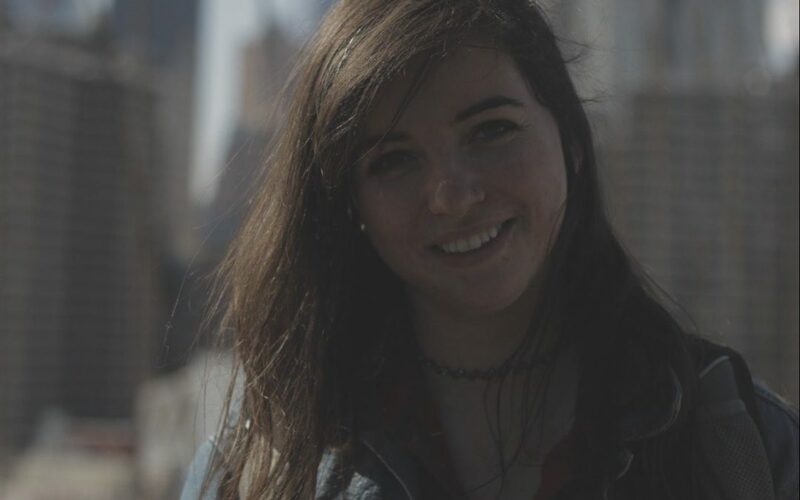 Now, Hart – who has Epilepsy – is on a mission to make shows safer through her new project, LEAD DIY (Lighting and Epilepsy Awareness Development in DIY). 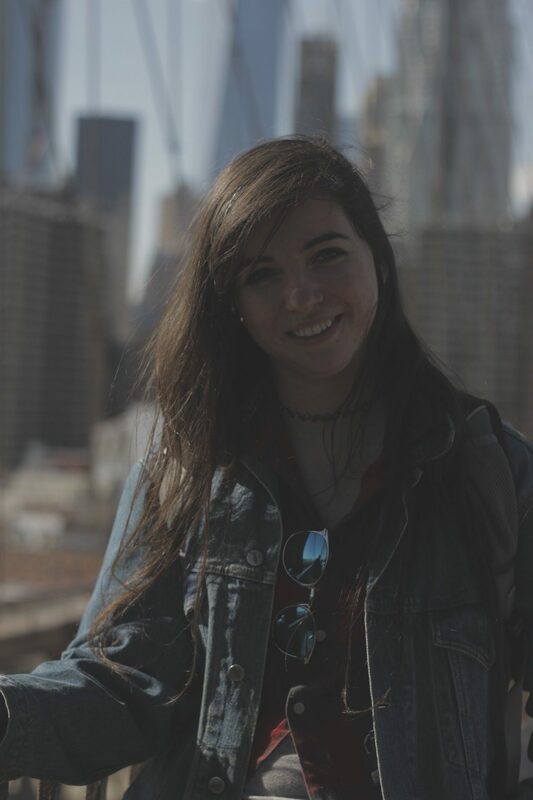 Get to know more about Ellie Hart and LEAD DIY in our interview below. I’m based out of northern New Jersey, which is a pretty easy commute to NYC. I don’t drive because of my epilepsy, so most of the shows I see I take the train to the city to go to. If I’m going to a show that’s not in NYC, it’s probably in New Brunswick, Montclair, or Asbury Park. When did you start going to shows and when did you get more involved in the scene? I actually just started getting more involved in the NJ scene about 6 months ago, completely by chance. The combination of meeting a bunch of cool people in DIY and a developing curiosity in writing about music resulted in MELTT, and a few months later came up with the idea for LEAD DIY. 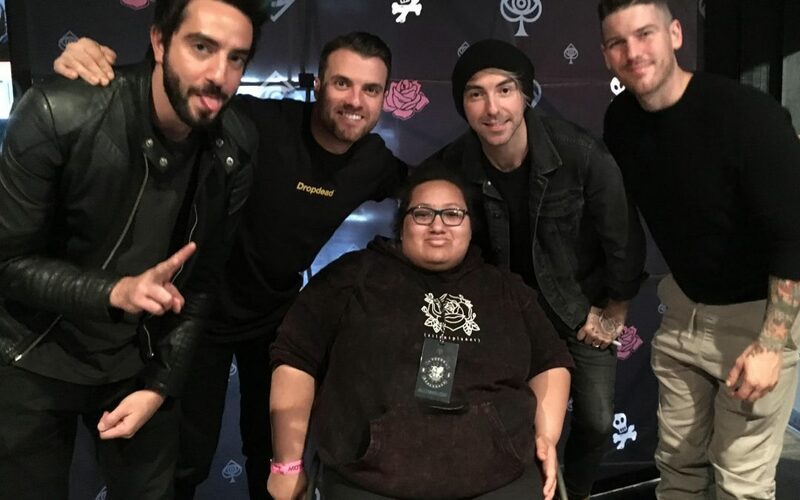 Talk a bit about your disability and how it affects your experience going to shows. Epilepsy’s a little peculiar, because unless a person is actually mid-seizure it’s really hard to tell if they actually have epilepsy. Because I (and I’d venture to say most people with epilepsy) look fairly abled, it’s hard for some people to comprehend that I have a disability. People forget about it and don’t realize that it can be an issue. Thankfully I’ve never directly personally be affected by lights at a show. I have tested positively for being sensitive to light in the past in EEG’s (the thing where they attach all those wires to your head and monitor your brainwaves) but I’ve never had a seizure because of something that happened at a show. I’m only really sensitive to high-intensity strobes over an extended period of time, so I have an advantage in that I have the ability to leave a space that I fear may become dangerous for me. But epilepsy is very different for everyone, there isn’t a cut-and-dry diagnosis– some people are more sensitive to light and have more seizures than I do. What have your experiences been like with inquiring about lighting accommodations? What does that process typically look like? It kind of depends on the show and the venue. 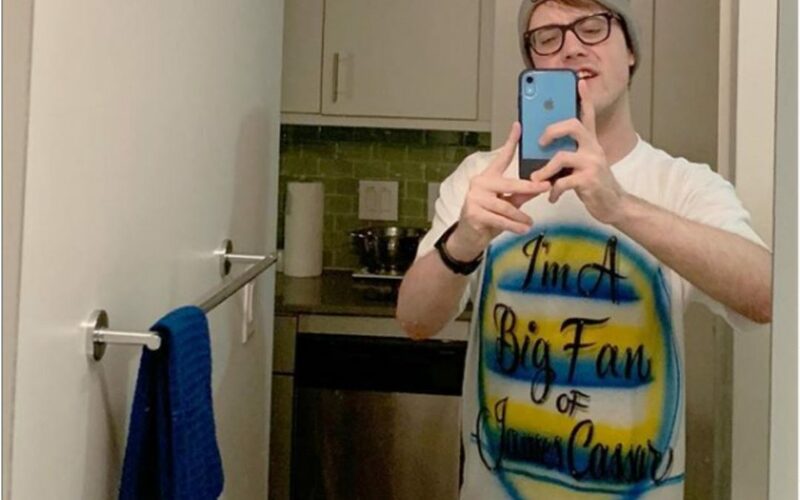 If it’s a house show I can usually find someone to DM who’s helping run the show and they’ll let me know. For bars or small venues or something of the sort, I usually tweet/DM/occasionally email the artist(s). Because it’s about a safety-related topic, I usually get some sort of response and when I’ve done this and the artists are almost exclusively helpful. The reason I reach out to the artists is because (in my experience) they’re more likely to have some influence on lighting used while they’re performing. Reaching out to venues is also helpful sometimes, but might get dismissed or just fall through the cracks during the calamity of a show day. With anything bigger than that, I would recommend directly calling the venue and asking to speak to some sort of manager to at least get an idea of how much/what type of lighting will be used. On the rare occasion I attend arena shows, I honestly don’t even try. I turn to the internet usually– for example I DM’d a couple of fan accounts to ask about the show. What it comes down to is you have to be creative, and not give up until you get an answer. Go all-out Middle Aged Customer Service Suburban Mom for that info. This isn’t about a wrong Starbucks order or getting overcharge $3 on your credit card bill– it’s legit, serious safety! What have your experiences been like with having an invisible disability in relation to getting accommodations? Because I’m not super sensitive to light (only affects me at high intensity over extended periods of time) I can manage almost all shows; so honestly before the past few months I only occasionally had to ask about it. Since I’ve started LEAD DIY, I always ask ahead of time, if not for me, then to remind those in charge of lighting that this is an issue they should be aware of. I’ve only had to leave shows because of my disability on two occasions. One was when I had my medication with me, but it wasn’t in a prescription bottle, so they couldn’t really let me in with loose pills. (Understandable.) The second was because of flashing lights but not because I had a seizure– I actually had a panic attack-type thing brought on by the “what-ifs” of flashing lights at a show where I was alone. I’m not really sure I know how to answer this because I’ve only been really involved in accessibility awareness for like, 2 months. I have seen a little bit more awareness about epilepsy specifically in the past few months, but that’s probably mostly due to me annoying my friends about it and just paying more attention. I went to a show in Asbury Park once and wasn’t sure what the lights were going to be like because it was a bit of a heavier show. This was kind of coincidentally a great experience; I went up to the merch guy to try to figure out who to talk to ask if they could do anything about it and it turned out that he was the lighting director! He kept it toned down for me and asked me some questions about epilepsy and lighting, which I answered the best I could. I honestly love educating people about epilepsy– I have been known to teach seizure first aid at parties. When people say something like this, what they’re saying is “going to a show is more important for me than it is for you. It’s not important to modify the show so that you can enjoy it.” That attitude is just really discouraging. Tell everyone about what you’re working on through LEAD DIY. LEAD DIY stands for Lighting and Epilepsy Awareness Development in DIY. The basic concept is that artists or venues or people running shows should hang one of three signs in accordance with the amount or intensity of lighting being used at shows. The three types of signs are green “safe” signs for shows with minimal lighting, yellow “caution” signs that indicate that there will be some roaming or flashing lights, and red “warning” signs to tell show-goers that there’s going to be high-intensity lighting like lasers and strobes. LEAD’s goal is to be able to laminate these three different types of signs and send them to people who want them, for free. The laminating part seems kind of silly, but it’s actually pretty beneficial. All of the flyers are available to print for free online at melttmagazine.com/caution-flyers, but having laminated copies means a) you don’t have to run around and find a color printer every time you play/host a show b) it’s better for the environment to not print a bunch of stuff out all the time c) they travel really easily without getting destroyed and d) you can put your own stickers on them! For clarification, the goal for this project isn’t to stop lighting designers from ever using strobe lights or something along those lines. Lighting designers are talented people who spend years training to add a dynamic visual element to a music performance. We’re simply trying to make shows safer for people who may be affected by those lights by giving them an opportunity to remove themselves from a potentially unsafe situation. Was there a particular moment that made you want to work to change things surrounding lighting at gigs? I had a few wonky experiences with lighting at shows but nothing too bad. It’d been something that was just annoying to me. The worst thing was a show in boston where the band had pretty high-intensity flashers that made me pretty uncomfortable. When I talked to the people who had the lighting setup after about how it might be dangerous, they were perfectly nice about and apologized– they just hadn’t even realized that it might be a concern. The one thing that made me really want to change things wasn’t actually surrounding lights at gigs at all…. It was the frickin’ Incredibles 2 movie. Without giving anything away, the villain’s power is basically manipulating people through screens, and there were a lot of LONG flashing light sequences. (Apparently. I still haven’t seen the movie. NO SPOILERS.) A bunch of people who saw the movie messaged me about how it’s not epilepsy safe, and I got Pretty Heckin’ Mad that a movie I’d been waiting 14 years to see, I CANNOT SEE. It kind of baffled me that Disney’s 1000-person PR team didn’t see that whole issue coming… which got me thinking that they just may have not been aware of it. I knew that I didn’t really have the influence to change basically the biggest entertainment company in the world, so I figured live music/DIY would probably be a great place to start– practice spreading awareness and safety in an environment I know better. How can people best be an ally to everyone with light sensitivities? The best way to be an ally to someone with light sensitivity is to speak up. Sometimes people with invisible illness are afraid to reach out in fear of being dismissed, so if you as an abled person ask, it shows that it’s something that other abled people should keep in mind. If you ask a venue manager what the lighting situation is and they respond with a positive attitude, maybe start to ask them questions like “What do you usually do to warn people if lighting is dangerous?” or “Who can I reach out to ahead of time in the future?”. This at least gets people thinking about the fact that, if they don’t have answers to those questions, they need to find some. The Front Bottoms, Slaughter Beach, Dog, Prince Daddy & the Hyena, Hodera, oso oso, Joyce Manor, Future Teens, Save Face. Most listened to album of this year so far? You can apply for LEAD DIY’s Epilepsy awareness packets at melttmagazine.com/leaddiy/apply. Donate to LEAD DIY at gofundme.com/epilepsy-awareness-in-music.